Health Financing In The Republic Of Gabon - , Bernard Couttolenc F.
Edmund Loh - Infopreneur Branding Secrets With Master Resell Rights! 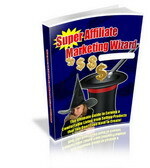 Edmund Loh - Magnetic Membership Manifesto With Master Resell Rights! X The seller bedrockfred offers you 10.0% on each sale!